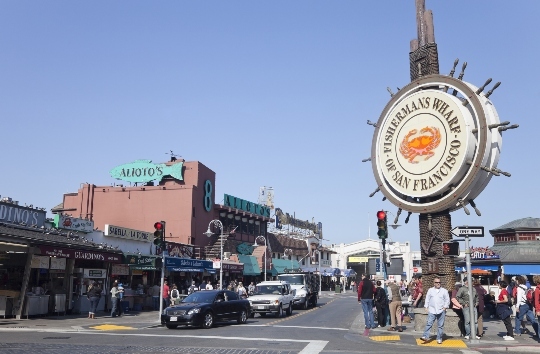 Some visitors think that many of San Francisco’s most iconic destinations live outside the city limits, but there’s a week's worth of activities right in the center of one of the city’s busiest tourist areas, Fisherman’s Wharf! Cloaked in fog and cable cars, this popular neighborhood attraction is nestled between quaint souvenir shops and vendors selling crab and clam chowder on every corner. No matter the angle, postcard views of the Bay, Golden Gate, and Alcatraz are visible at every turn. The sight of sea lions basking on the pier and the historic ships on tour is enough to make your head turn and your feet stop in their tracks. After all, you can’t claim you’ve truly seen the City by the Bay until you’ve spent a day marveling at one of its many captivating wonders. It’s hard to decide what to see first in the Golden City, so narrow down your itinerary before letting your trip unfold. Once you’ve planned your trip schedule, you can start planning the transportation method that best suits your group. We recommend that you book at least three months ahead of time to ensure you get the top model for your group's size and the length of your trip. This will help you avoid any chances of being limited in your sight-seeing opportunities of the spectacular Paris of the West Coast. We make it our mission to help you experience your trip the way you’ve dreamt it-- on your terms. Those who’ve set foot in Fisherman’s Wharf know that this coastal paradise offers much more than meets the eye. Thousands of visitors travel over the coast by ferry boat each day to catch the views of the bay or the 360-degree panoramic view that can only be seen atop San Francisco’s two most iconic bridges, the Golden Gate Bridge and the Bay Bridge. Here's a top 5 list of what to do around Fisherman’s Wharf in San Francisco to help you find your way. What once was the world’s most escape-proof prison has turned into a rocking tourist destination as the 85-year-old fortress conjures many questions for onlookers to consider each escape route through the freezing cold currents and towering rock enclave. The million-year-old rock formation this landmark sits upon is enough to evoke each visitor’s fascination. You’re not the only one who enjoys some fish-and-chipping by the marina at Fisherman’s Wharf. Get up close and personal with the sun-soaked sea lions on the famous Pier 39 they call home. Located in the heart of San Francisco, this marina also functions as a port for the Golden Gate ferry and a multitude of cargo ships. You won’t want to miss California’s number one attraction! Catch the ferry ride to Sausalito across the bay to enjoy more dazzling views of the Golden Gate Bridge and the city skyline as you go! Witness spectacular angles of the island that can only be seen far out in the distance by boat and then spend the remainder of the afternoon exploring waterfront dining and shopping in Marin County’s windy port. It’ll make the perfect half-day trip! Going the cultural route in San Francisco? You can’t call yourself a foodie until you’ve visited the original Ghirardelli Square, where Northern California’s most popular boutiques and tasty eateries reside outside the famed former chocolate factory. Taste your way through the menu at the Ghirardelli Chocolate Outlet and ice cream shop. Your taste buds will thank you! Explore one of the most talked-about bridges in the world! Get dropped off at the Golden Gate Bridge Welcome Center and follow the map to the top so you can witness a striking panoramic view of the city cloaked in a fog. Your view from the bridge will allow you to see the coastline in all its glory on all three sides of the peninsula as you enjoy the best view of San Francisco. Make sure your ride around the city is a comfortable experience everyone can enjoy. Though the city attractions are close-knit, the unpredictable traffic schedules and jam-packed streets can cause large groups of travelers to get lost along the journey. Replace your separate caravans with a San Francisco shuttle service and let a private driver navigate the crowded city streets. Your bus can come with a variety of premium amenities such as WiFi, power outlets, flat-screen TVs, DVD players, on-board restrooms, air conditioning, reclining seats, and more for your unique needs and comfort. A private shuttle will allow everyone to sit back, relax, and enjoy the ride no matter how long the trip. Your trip is unique in its own way, which is why we work with your specific requests to provide you with a personalized experience. No matter where your travel plans take you, whether it’s across the bridge or past state lines, we follow your custom itinerary to provide you a completely personalized coach service. 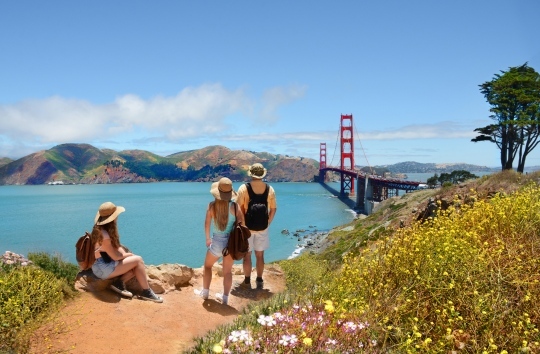 From the Golden Gate Bridge all the way to Napa Valley, renting a shuttle bus is the best option for a completely stress-free, easy touring experience. While you sit back and relax in your minibus rental, your driver will handle all the navigation, traffic, and parking. Since many tours have particular procedures when it comes to schedules and parking, we work with local drivers who know the best spots for drop-off, pickup, and parking. We make it our mission to make your entire trip seamless so you can focus on showing your group the charm of the city. National Charter Bus follows a strict series of safety protocols to ensure you and your travel group have a reliable ride anywhere you go. Every bus booked through National Charter Bus is up-to-date on all modern safety standards, and buses are only operated by licensed, experienced drivers. Your group can sit back and relax knowing your trip is being handled by experts. National Charter Bus is a nationwide service that completely streamlines the entire bus rental process. With shuttle bus rentals ranging from 18-passenger minibuses all the way to full-sized motorcoaches that can carry up to 56 passengers, we can accommodate groups of students, faculty, and chaperones of any size. Ready to plan your trip to ‘Frisco? 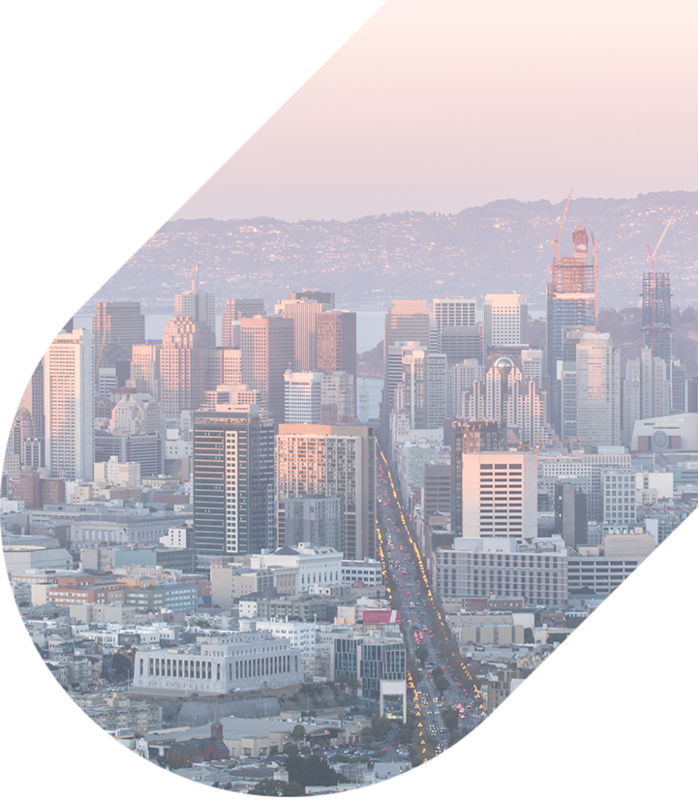 Navigate the city’s number-one attractions with ease as you take the backseat of your San Francisco shuttle. Whether you’re taking a group reunion trip or planning a large-scale wedding or corporate outing, you can rely on National Charter Bus to get everyone there safely and comfortably. You can even plan long-distance travel from nearby cities such as San Jose, Las Vegas, and Los Angeles on your time and schedule. Prices may vary depending on location, how long you’ll need the bus and other factors. For more information, check out our pricing guide or call us at 415-226-7853 for a free, personalized quote. Our team of transportation experts is available 24/7 to help guide you through the rental process.